A teenage motorcyclist is dead as a result of a head-on crash with a small sedan in Valley Center, authorities said Sunday. VALLEY CENTER (CNS) - A teenage motorcyclist is dead as a result of a head-on crash with a small sedan in Valley Center, authorities said Sunday. "Driving under the influence" is considered a possible factor in the crash, according to the California Highway Patrol, which is investigating the incident. At about 3:30 p.m. Saturday, an 18-year-old man from Pauma Valley was riding his 2006 Honda motorcycle at a high speed on Mac Tan Road just north of Fruitvale Road, CHP Officer Mark Latulippe said. The man came to a bend in the road and apparently lost control of his bike. He overturned and slid into the opposing lane of traffic, where he careened into the front end of a 2004 Kia Spectra, Latulippe said. 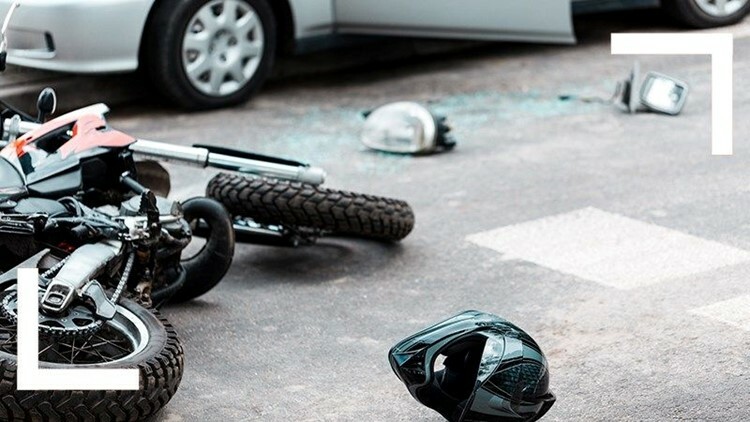 The motorcyclist, whose identity wasn't immediately released, was taken to Palomar Medical Center in Escondido, where he died of his injuries. The Kia driver was not injured in the crash, Latulippe said.